John Mueller does this thing where he 3D prints GoogleBots to give out to people he meets at events. 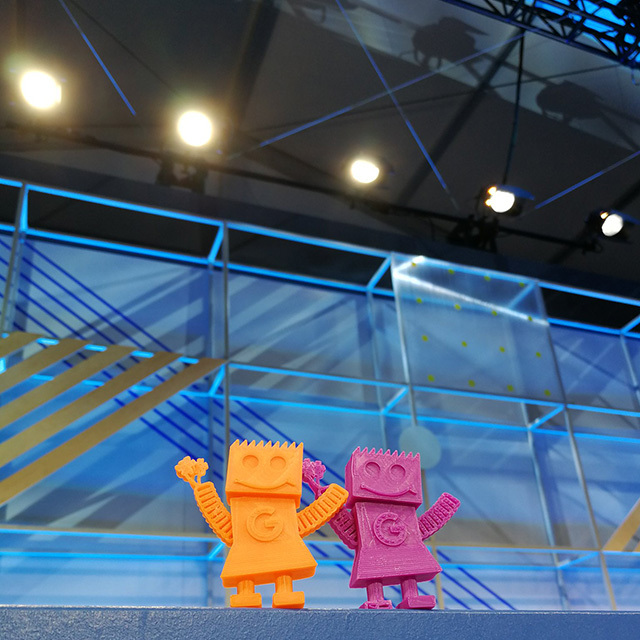 Here are two of those GoogleBots standing on the stage at the Google I/O event. They got to show off their dance to 7,000+ attendees.